To Train This Charizard Action Figure, You Don't Need Badges. You Need Money. While you might come up short with badges to train Charizard, you probably have enough cashola to do that. Slated for an April release, the fully poseable action figure is priced at ¥3,990 (US$46)—though, I've seen it priced at around $30 online in Japan. 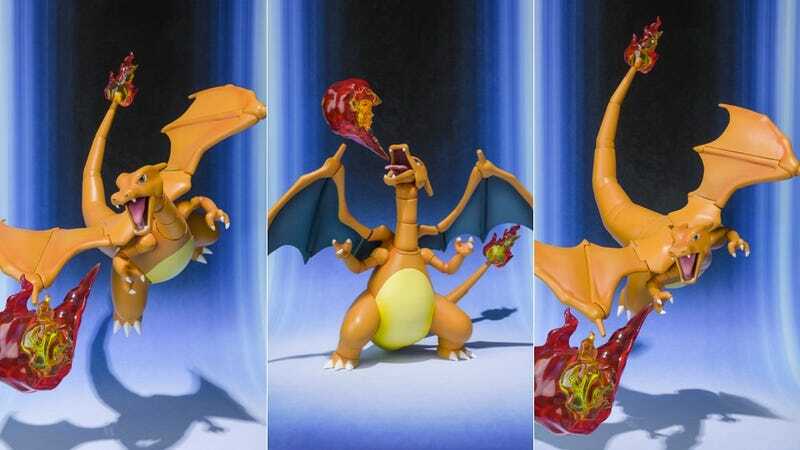 The Charizard figure is part of Bandai's D-Arts line of action figures, and it looks pretty nice.